NEW YORK (WABC) -- Did you catch the Supermoon? 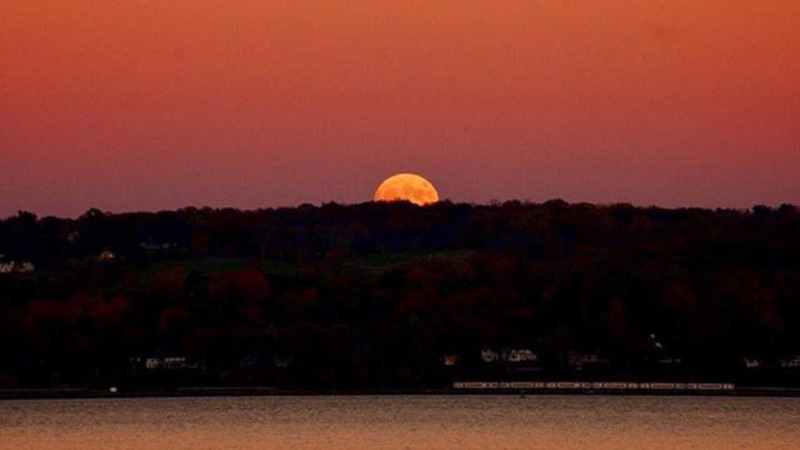 Scientists say Sunday night's Supermoon is the biggest and brightest in nearly 70 years. The closest approach will not be until about 6:21 Monday morning, but the moon will appear up to 14 percent bigger and 30 percent brighter than an average full moon...and this is the closest the moon will get to earth until November 25th, 2034. 6)	In the words of Frank Sinatra, 'Fly me to the moon'!